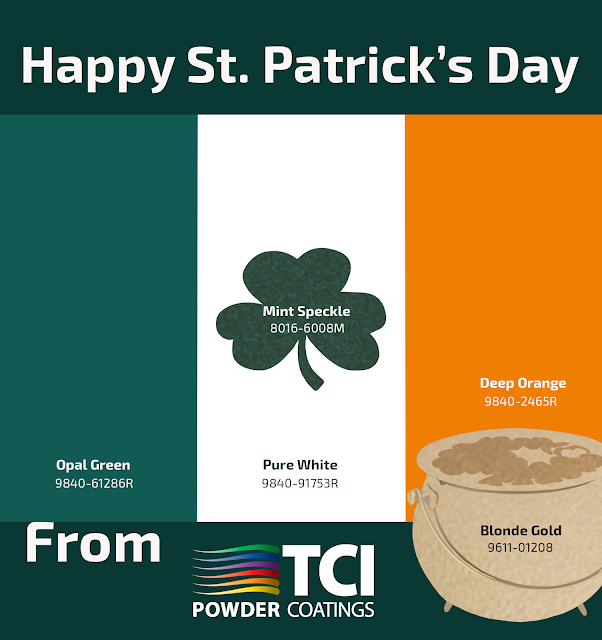 TCI Powder Coatings Blog: Happy Saint Patrick's Day! Feeling festive? Find out more about these specific coating colors on our website, tcipowder.com!